Ok, so this is definitely one of my swankiest cheesecakes. If you’re new to this blog, rest assured I don’t usually dive for the most expensive ingredients I can grab (honest! ), but sometimes my taste buds and sense of curiosity get the better of me. And sometimes you have things to celebrate (like being nominated top 21 blogs of 2016 by VegNews Magazine — thank you once again to all who nominated and voted for this blog! ), so “swanky” seems just right. 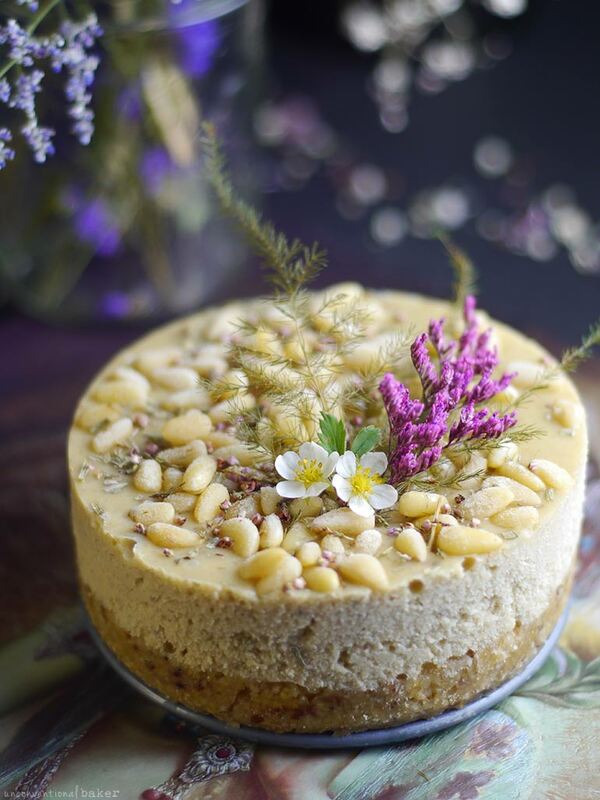 Besides, I keep getting requests for alternatives for cashew-based cheesecakes, so you see it all distills perfectly into this delicious Tarragon Lime Pine Nut Cheesecake. While it sounds all “haute” and fancy, it’s really a simple cheesecake with a big name — as per usual, no-fuss, super easy to make, and cake-lovers approved. 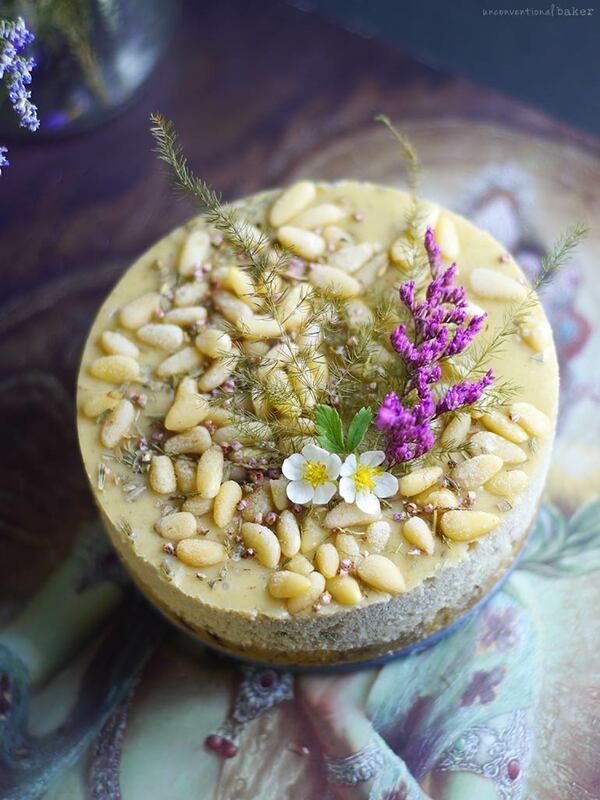 Pine nuts make an absolutely lovely substitute for cashews in raw cheesecakes, though there are upsides and downsides to them as a key ingredient of course. Upsides? Beautiful flavor, great soft texture, easy to work with (no soaking required!). Plus it’s different — and I like playing with different. Experimenting and trying new flavors is a never-ending source of inspiration. Speaking of pine nuts and memorable moments though — I have the best memories of this nut from my childhood. My uncle would travel to Siberia and always returned with pine cones containing fresh pine nuts — you couldn’t get them fresher than that, and they were the most delectable treat ever. Amazing how food memories can link physical memories so strongly — I remember those visits so vividly, and I think it’s in part thanks to those pine cones, which I can still “taste” in my memory. What I also remember is the difficulty of shelling these tiny pesky nuts — suddenly the price tag starts to make a lot of sense ? The other accent flavors I chose for this tiny cake are lime and tarragon. Lime balances out the pine flavor quite nicely. Lemon would work beautifully, too, if you prefer. 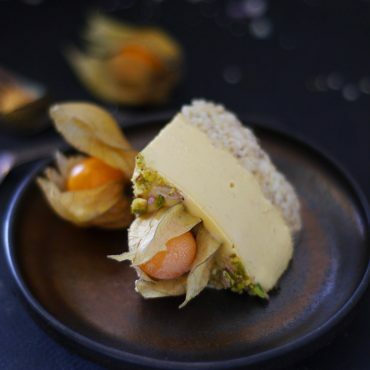 Pine nuts and a bit of citrusy tartness have a great rapport together. Tarragon on the other hand was a bit of an unexpected inclusion for me. Normally, pine nuts get paired with rosemary — a classic. But I’ll be honest, this whole cake was inspired by a strange curiosity to make something with tarragon to begin with. It’s one of my favorite savory herbs, and one that’s often underused and left unexplored. I love its flavor, though, so thought to give it a try in something sweet and really enjoyed it in this cake. If you can’t find dried tarragon, use a bit of fresh rosemary. And if you can’t find either — skip. The cake will be lovely without, too. But I’m banking on your sense of adventure to get you to give the tarragon a try — such a lovely accent flavor! Tip: if you don’t want to buy a whole jar of spice just for this, look for spices in bulk shops — you can buy a pinch or a tsp at a time for pennies. P.S. 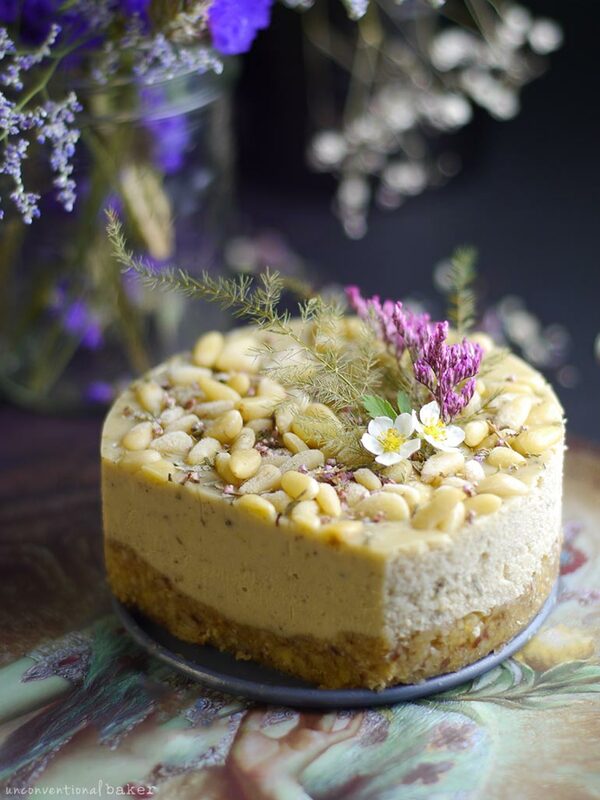 If you need more tips on how to make raw cheesecakes like a pro, check out my book Unconventional Treats. 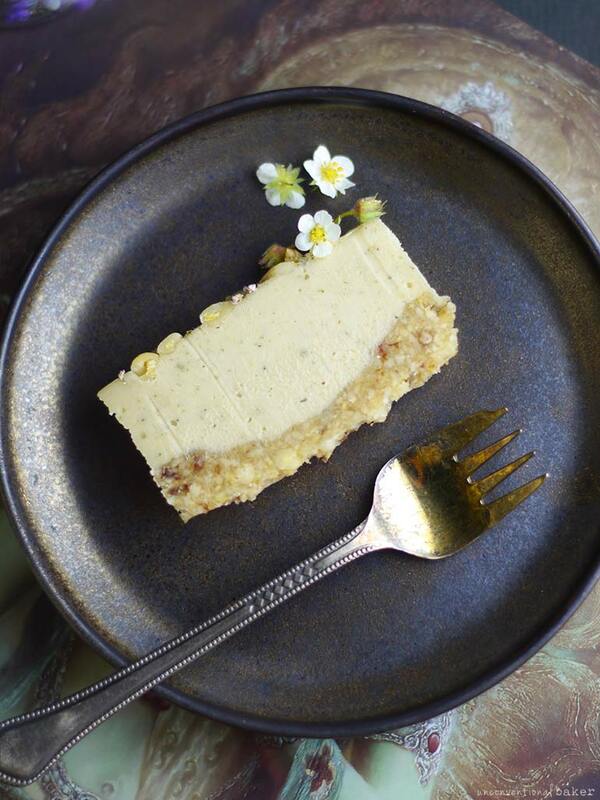 Make this raw vegan cheesecake when you feel like something different….it’s cashew-free, refreshing, and has a surprising flavor twist. Gluten-free. Process all crust ingredients into a sticky crumble in a food processor. Transfer to a 4″ springform pan (or make a few mini-cupcakes / use a lined small dish of a similar size) and press down into am even crust along the base. Place the pan in the freezer while working on the next step. 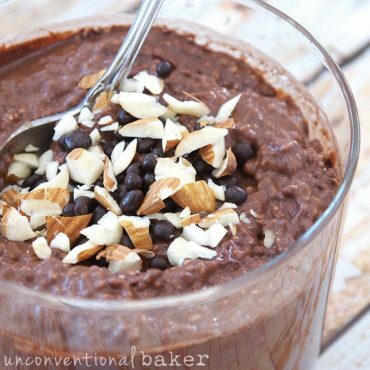 Blend all filling ingredients in a high-speed blender into a smooth consistency. Pour this mixture into the springform pan. Decorate with any toppings and freeze for 5-6 hours (or overnight) to set. Enjoy! Store leftovers in the freezer. Disclaimer: this post contains affiliate links to the 4″ cake pan, unscented coconut oil, and heather flowers I used in this recipe. 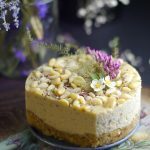 I'm Audrey—a baker, blogger, and author who loves to create and explore simple, wholesome, and allergy-friendly recipes. I hope you enjoy the site and find something yummy to make! Thanks so much! :) And I think they actually just posted the nominees on their website yesterday, so you’ll be able to find them all in one place now. Haha. Have fun, Jasmin :) It is a lovely flavor. Pine nuts and herbs go really well together in so many recipes, so figured why not give this a go — and I think it worked well. Thanks, Valentina! :) Tarragon is a lovely herb — hope you get to play around with some.